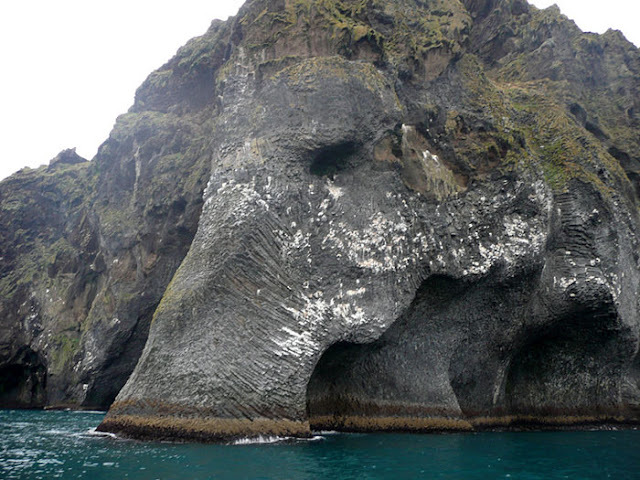 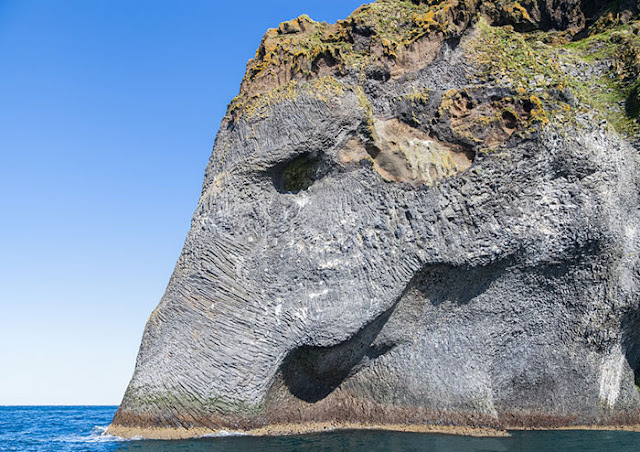 This basalt sea-cliff on the island of Heimaey in Southern Iceland looks just like a giant elephant or wooly mammoth dipping its trunk into the sea. Heimaey is the largest island in the Vestmannaeyjar archipelago, which is a geologically young set of islands formed by volcanoes. Eldfell, a volcano on Heimaey, erupted in 1973, prompting locals to pump cold seawater onto the resulting lava flows in a successful attempt to redirect it from their harbor. 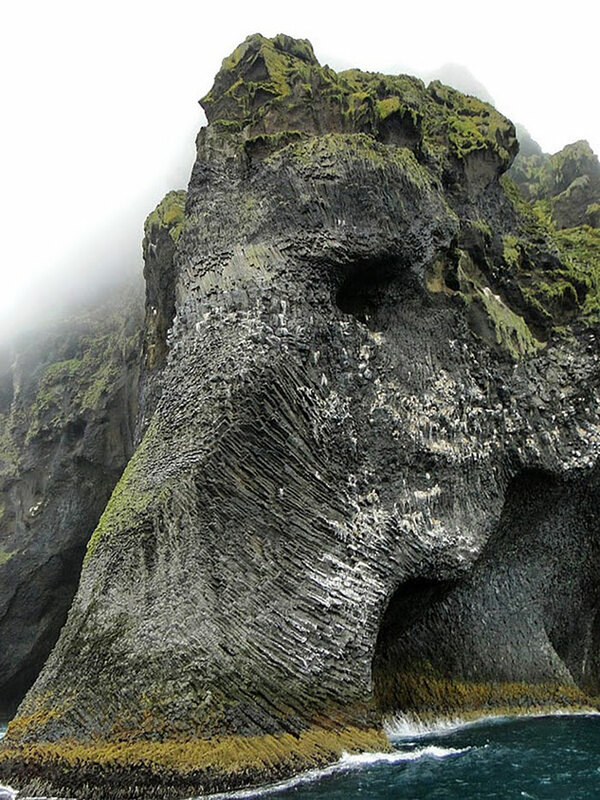 The elephant on this island’s coast that attracts visitors is also formed from the volcanic basalt found everywhere on this island.